Menopause is a part of life and cannot be avoided. It can also be extremely inconvenient and uncomfortable. Many supplements, like Amberen, have surfaced to help women get through this phase by providing an added level of comfort while going through the symptoms. All these properties in Amberen total to 400mg. Other ingredients include gelatin, rice flour, magnesium stearate, silicon dioxide, titanium dioxide, riboflavin, carmine, and water. Some of these properties are known to be used as fillers or binders in many medications or supplements. Amberen specifies that for effects to be apparent, you need to take one white capsule and one orange capsule together every day after breakfast. The starter package – For a 30-day supply at $39.99. The Maximum Relief Package – For a 90-day supply at $99.99. The Maximum Relief Bundle – For an 180-day supply at $169.99. Amberen also offers a discount if you subscribe to a monthly supply where the price goes down to $29.99 per bottle. Amberen is a product of up to 45 years of research and various clinical trials and proudly claims no side effects for their supplement. 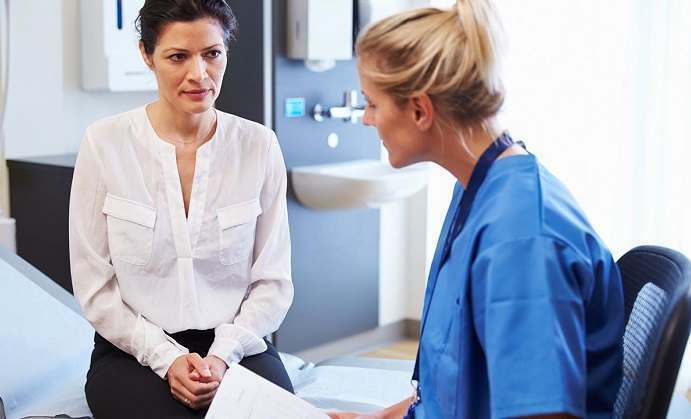 There are no listed restrictions or precautions for women that may have other medical conditions while going through menopause. You should not take this supplement if you are nursing or pregnant or if you suffer from hypertension. It is suggested that you consult with your physician before taking Amberen or any medicine or supplement. Amberen has a return policy in place for unsatisfied customers which is a testament to their confidence in their product’s ability to achieve its promised effects. The Amberen website also has reviews displayed and a tab that allows customers to leave new reviews. Amberen has gone through various clinical trials to verify its effects. Details of these trials are also displayed and available on their website. Unlike other supplements or pharmaceutical companies, Amberen is a sole product and all focus, testing, and research has gone specifically towards its purpose. Amberen is reliable in the sense that all its constituents have been tried and tested in various research studies and clinical trials. Its website is also a wealth of information on the different aspects of menopause and how these can be addressed, but Amberen is not very cost effective and will not be easily affordable to all women even with the provided discounts for a monthly subscription. 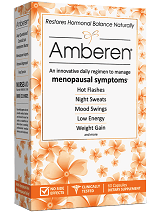 Amberen is also not completely natural and comes with fillers and binders in its properties. Their claim of absolutely no side effects does not mention any inclusion for people with other medical conditions nor does it state any contraindications with other forms of medications such as those maintained by some.